NIRF India Rankings 2018 announced by Prakash Javadekar. IISc again the best University in the country and Miranda House best college. New Delhi: Prakash Javadekar, the Union Minister for Human Resource Development (HRD), yesterday announced the India Rankings 2018. While IISc Bangalore dominated two categories, there have been several new entries in the rankings this year. About 4500 institutes had submitted their details for ranking by NIRF. 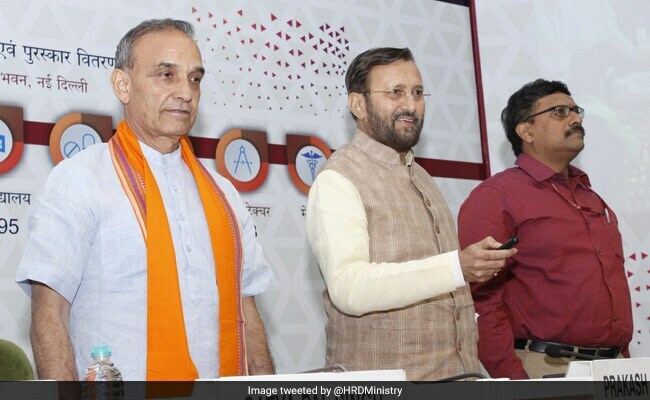 At the event unveiling the rankings for 2018, Prakash Javadekar also said that it would be mandatory for public institutes to participate in the ranking framework from next year. "And, those public institutions which will not take part in it will face fund cut," he said. The rankings were announced at Vigyan Bhawan, New Delhi. The Minister of State for Human Resource Development Dr. Satya Pal Singh was also present. The NIRF rankings were instituted in 2015 and the first rankings were announced in 2016. This year the rankings have been announced in 9 broad categories. This is the first year that MHRD has ranked Medical, Law and Architecture institutes in the country. In addition this year participation was made mandatory for institutes which were receiving public grants from the government. Among the 4500 institutes which participated in the NIRF rankings, IISc Bengaluru stood out again and topped in the Overall Category and in the University category as well. IIT Madras has emerged as the best engineering institute in the rankings. IIM Ahmedabad has landed the top rank among management institutes. National Institute of Pharmaceutical Education and Research, Mohali is the best institute in Pharmacy category and Miranda House, Delhi University has landed the top spot again this year in the College category. There have been some major shuffles in the College category with several new players making it to the top ten colleges list this year. For medical, law and architecture streams only top three were announced. AIIMS was ranked first among medical institutes. National Law School of India University, Bangalore has emerged as the top institute for law and IIT Kharagpur has been adjudged the best institute for Architecture in the country. The institutes have been ranked on five prime parameters which are Teaching, Learning and Resources, Research and Professional Practices, Graduation Outcomes, Outreach and Inclusivity, and Perception. Since the first edition of the rankings were announced in 2016, NIRF has added categories and improved upon the parameters set to judge the institutes. In 2016, there were only four categories in which institutes were ranked. The number increased to six in 2017. For 2018, three more categories were added to the list.